How Much Compensation Can i Claim For A Aldi Accident? Quickly becoming one of the nation’s favourite supermarkets, Aldi combines quality foods and home accessories with lower prices than some of ‘the big four’. However, as more and more people frequent their premises, the risk of people being injured on site rises. If you have been injured in an accident that occurred at Aldi, you may be able to claim compensation for your injures and any loss of income you’ve suffered as a result, if someone else is found to be at fault for the accident. What is an accident at Aldi? I had an accident whilst shopping at Aldi can I claim compensation? I had a car accident in an Aldi car park – can I claim? What can be claimed for after an accident in Aldi causing injury? How much compensation will I get after an accident at Aldi causing injury? Why choose us as your claims service for a personal injury claim? Whether you prefer to shop in the evening or a weekend, there’s sure to be an Aldi just around the corner with shelves fully stocked with all your favourite foods. However, whether it is a full weekly shop you are doing, or a drop in to pick up something quick for your tea, trips to retail outlets including Aldi can sometimes end in disaster. If you have obtained an injury from a trip to Aldi, it is important to get it treated as soon as possible. If, however, that injury was due to an accident at Aldi that was not your fault, then you may be able to make a claim for lost income, pain and suffering and the injuries you have suffered. Here, our guide offers actionable advice on all factors involved with Aldi accident claims, including what you need to do if you have been injured there, how much you could be awarded in terms of compensation, and why you don’t need to pay hefty fees to a solicitor that may not win your case. Simply put, any event that has caused you injury at Aldi constitutes an accident at Aldi. Whether it was a slip, trip or fall in a pothole in the car park, an item falling off a top shelf onto you, a crush injury from the automatic doors, or an injury due to badly stacked trolleys, if someone else was at fault, then it is likely that you will have the right to make a claim for compensation. These accidents can cause injuries from the minor to the very serious, and if you have lost out financially in terms of lost income due to these injuries, or been unable to perform your usual day to day tasks without pain, then it is only right that you should be compensated for this. Medical details – it is likely that you will have seen a medical professional after your accident, especially if you have suffered quite painful injuries. It is very important to see a doctor after an accident in Aldi, both to ensure your on-going treatment and to be able to prove that you have suffered injury. Whether it is an out of hours’ doctor, your usual GP or a doctor at the hospital, they will make notes about your condition and your injuries, which may help should you wish to pursue a claim later on. Photos – We take photos everywhere we go these days, so it is likely either you or someone who has witnessed your accident will have a phone with a camera. A couple of photographs of the scene and your injuries may prove useful later on. Witnesses – It is very likely in such a busy place that someone will have seen what has happened to you. Whilst you may or may not already know this person/persons, it is wise to ask them for contact details as they may be asked to give a witness statement later on should you go forward with a compensation claim. Other involved parties – If someone has run into you in the car park, or elsewhere on the premises, then it is wise to take their details too. Vehicle registration, name, address and contact details of both the driver and the company they work for if they are in a commercial vehicle could prove vital. Written Report – Our memories are strange in that something that was once very clear can fade over time. This is why it is best to note down what has happened to you straight away – or you could dictate it to someone. Of course, if you have been involved in an Aldi accident at work, you will more than likely have had your injuries recorded already in the Aldi accident book, but it is always best that you write your own notes for home. If someone else is filling in the accident book for you, it is important for you to check what they’re writing to make sure everything is included. Lastly, if you have been in an accident in Aldi, then calling our Aldi accident claims number is also something you should consider. We can provide you with actionable advice, after listening to your story, and you are under no obligation to take the case any further should you not wish to do so. Many people consider making a claim and then never go ahead with it because they fear Aldi accident compensation claims may be too complicated. However, this could not be further from the truth. By simply calling our helpline, you will be able to speak to someone who has experience in helping people just like you, and will explain fully everything that is involved. You may be quite surprised that you will not be expected to do a lot of work – in fact, we do all the hard work for you. Once we have spoken to you about what has happened, and asked any questions we feel relevant, we will answer any of your pressing questions, and will then explain to you how our service works. With our No Win No Fee service, you will not be expected to put up any funds for legal fees upfront. We will explain why this is, and take you through the agreement that means you won’t pay a penny in legal fees if your claim is not successful. Once this is signed, we will arrange for you to see a professional medic, who will write a report based on your injuries, prognosis and any relevant medical history. Do not worry if your injury has simply exacerbated a pre-existing condition and not caused a new injury. In many cases, this can lead to an Aldi compensation payout, just as a new injury can. You will also be matched up with a solicitor that has the best chance of securing you the maximum payout for your injuries. We will go through our highly experienced in house solicitors to find the person that has the most relevant experience to your specific situation. Whether this is a solicitor with solid accident at work experience, or one that specialises in road traffic accidents, you will be offered someone that knows claims like yours inside out and can harness their experience in the field to maximise your compensation award amount. You do not expect a simple shopping trip to end in injury, but it can, and does, happen. Depending on the type of accident you’ve experienced, and whose fault it was, you may be able to make an Aldi compensation claim. For example, if you were to slip on a wet floor that was not signposted and was not cleared up quickly, then you might have a claim against the supermarket. Another example would be if you were run over in the car park by someone that was not paying attention, or driving too fast. In this case, however, your claim would be against the driver. Whatever type of accident has occurred, be it a car park accident or something that has happened inside the store, talking to us will help clarify whether or not someone else is to blame and whether you might make a claim for compensation for your injuries. Manual handling accident at work – If you have not been correctly trained in manual handling procedures, or if you have been asked to handle a load that is unsafe or unstable, you may be able to file a back injury at work claim due to the injuries you have suffered as a result of this accident. Slip, trip or fall at work – With thousands of boxes to unpack and shelves to stack, the warehousing end of supermarkets can be a busy place. If something has been left out and you have tripped over it, this is just one example of an accident that could lead to a claim. Cut hands due to no protective gloves provided – Your employer has a duty of care to provide the relevant protective equipment for you to do your job safely. If they have failed to do so, then they may be liable to pay you compensation. Our accident at work compensation case studies should give you an idea of the types of cases we have handled in the past for people who have had accidents at work previously. We will be happy to show you details of some of the awards that we have successfully managed to get for other clients, and we can also answer questions surrounding the accident at work claim time limit, as well as other queries you might have. No matter how careful businesses are about keeping trip and slip hazards to a minimum, a single lapse in concentration or lack of attention to detail for a short time can lead to an accident. 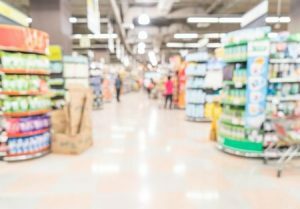 If you have had a fall in Aldi due to an improperly fixed handrail, or a slip in Aldi on a wet floor that was not clearly marked it may be possible for you to make a compensation claim for injuries sustained as a result. Whether you are claiming as an employee, or a shopper, all you need to do is call our team and we will explain whether or not you have a valid case. Car accidents in car parks are fairly common occurrences. People always seem to be in a rush these days and it can often be the case that this sense of rushing leads to a lapse in concentration. That can have terrible consequences, however. From drivers backing into pedestrians to head on collisions in car parks, it can be confusing in some cases to know who is to blame. If you have experienced an accident in an Aldi car park, then all you have to do is call us. We will be able to listen to your story, and ascertain whether you might be able to claim against a driver, or the supermarket for compensation to cover things like loss of income, pain and suffering and any other expenses you may have incurred as a result of the accident. Care Costs – If you have had to have help around your home after an accident because you have not been able to do usual activities due to your injuries, the carer may be able to put forward a claim for costs. Lost Wages – There are two calculations that need to be made here. Firstly, the actual wages lost as a result of you having been off work due to your injuries. In addition, the second calculation covers the anticipated loss of earnings, if you are likely to be off work for some time. The second type of lost wages will also take into account whether you were likely to receive a payrise or promotion. If you are wondering if you are injured at work, do I get paid compensation, then it is important to understand that if your employer is liable, then you probably would get compensated for not only the loss of actual income but also for the anticipated income lost as well. Travel and Medical Expenses – This covers the costs you have had to pay out towards travel or medical bills because of your injuries. This can mean anything from travel to appointments and prescription costs to wheelchairs and physiotherapy bills. If your accident is one of the ones listed above, or even if it is not, then simply call us to tell us about it and we will assess your story to find out who is at fault and whether you can claim. Aldi accident claims can range from small payouts for minor injuries to large amounts for serious ones that leave people with no chance of a full recovery. While we cannot dictate how much compensation is awarded to you, we can fight for the maximum Aldi compensation payouts for our clients, which is something we do on a regular basis. The table below has been compiled to offer you an idea of how much certain injuries command as a compensation payment. It is essential that you do not see this as a guarantee that you will receive this amount if your claim is successful. A number of factors must be assessed in order to calculate your compensation payout, including the severity of the injury and your prognosis, as well as others. Loss of earnings (anticipated) £10,000 - £400,000 Higher salaried employees will receive higher amounts. The calculation is made based on your current salary and your expected increases in salary as well as how long you are likely to be losing income. Loss of earnings (Actual) £5,000 - £500,000 Again, higher paid employees will likely receive more. This takes your current lost wages into account. Traumatic Injury damage £32,700 - £47,050 For severe traumatic injuries. Pain and suffering £1,000 - £200,000 This will cover the pain and suffering it is deemed you have suffered. Severe neck Injuries £34,575 - £112,750 Spastic Quadriparesis or incomplete paraplegia are at the top portion of this award bracket, whilst severe rupture of the tendons, as well as factures and soft tissue injury make up the lower portions. Moderate neck injuries £6,000 - £29,250 Fracture and dislocations of the neck that cause spinal fusion are at the higher end. Those accidents that have worsened previous conditions are at the lower end. Minor neck injuries Up to £6,000 Pain, the severity of the initial injury and loss of ability to perform usual tasks will be assessed. Prognosis is usually good. Severe shoulder injuries £32,700 - £47,050 Severe shoulder injuries common if you have slipped in Aldi. Compensation will be in the higher amounts where disability is long term and you have experienced severe pain. Serious shoulder injuries £9,700 - £14,600 Brachial plexus and dislocation injuries are included here. Moderate shoulder injuries £6,000 - £9,700 Injuries causing frozen shoulder are common inside this bracket. Minor shoulder injuries Up to £6,000 Recovery within 3 weeks at the bottom end, with recovery within 2 years at the top end. Having an accident in Aldi will likely impact on your financial situation, as you will more than likely have had some time off work to recover. We do not believe that claiming for compensation should impact on your finances, which is why we work on a No Win No Fee basis, enabling you to start a claim without having to pay legal fees upfront. In addition to this, there will be nothing to pay should your claim be unsuccessful. No Win No Fee Aldi claims with us are easy to understand. We take the time to go through the agreement with you so that you fully understand where the legal fees are payable and by whom. We believe that accident at work No Win No fee claims as well as road traffic accident No Win No Fee claims should be explained in full and be as transparent as possible so that you know exactly what to expect. With years of experience pursuing supermarket chains for compensation, you can be sure that your Aldi compensation claim will be in good hands if you should choose to pursue one with us. We believe we have the capacity to provide you with a sympathetic, understanding ear to listen to how the accident has impacted on your life, as well as a tenacity to make sure you have get the maximum amount of compensation possible for your injuries. We will keep you updated at every part of the claims process, so you never feel out of the loop. In short, we will do exactly what you want us to do – get the compensation you deserve for your injuries and treat you with respect. If you are ready to begin the claims process, or even if you would like to know more about how the claims process plays out, then all you need to do is call us on 0800 073 8804 to talk to one of our highly-trained team. We will be happy to go over any part of the claims process with you, whether that is confirming that you are in a position to pursue a claim, or talk about the type of evidence it would be handy to keep should you wish to pursue a claim at a later date. We offer free advice that puts you under no obligation to use our claims service, but should you wish to start a claim, we will quickly and effectively work towards securing you the award for compensation that your injuries and circumstances dictate. Supermarket floors can cause all kinds of problems for shoppers if they become slippy. Here, HSE has issued a guide on how to avoid issues due to slippery floors. Whatever the injury you’ve suffered in Aldi, you are sure to find some guidance from the NHS to help you understand your injuries, how they might restrict you and what you can do to aid recovery. Retailer, just like other businesses, have a duty of care to protect their staff and customers from harm. Here, HSE have produced a guide to retail businesses, helping them to do so.